A fun shot to end the day depicting the famous movie with Debra Winger. We thought it would be fun to have our bride put on his grooms cap. 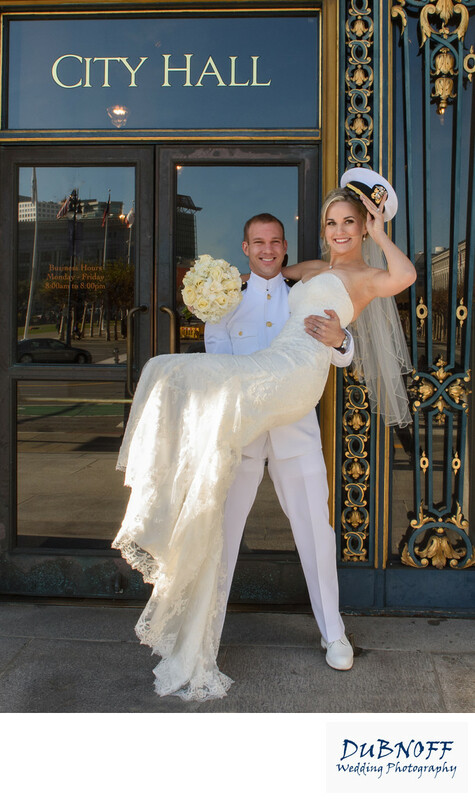 One of our favorite San Francisco city hall entrance pics!